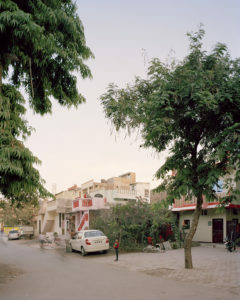 I am delighted to be a laureate of the “Premier Plan” Grant of the College International de Photographie du Grand Paris. 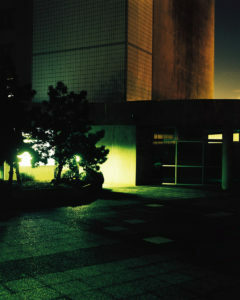 I will make a new body of work on the city of Ivry in the next few months. My online store is up. I have a special offer on five prints, limited editions of 25. 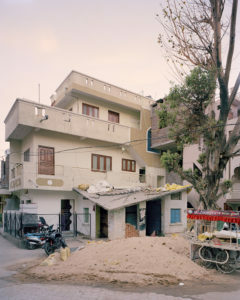 I was recently interviewed by Urbanautica’s Steve Bisson: the occasion to reflect upon my past and ongoing projects in India. Check the article here. 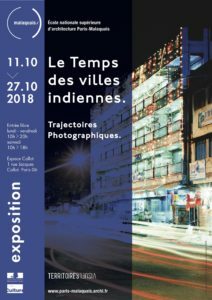 I am delighted to have curated the group show Le Temps des Villes Indiennes, Trajectoires Photographiques produced by Territoires Visuels and the ENSA Paris-Malaquais. It features the works of ten international photographers and will be on until October 27 at the ENSA Paris-Malaquais, 1 rue Jacques Callot, Paris 6ème. More information here and here. A programme comprising film screenings, presentations on architecture and a series of conferences for a study day on Oct. 23 runs parallel to the exhibition. Follow Territoires Visuels on Facebook for more information. Bad City Dreams is on show at the Centre Culturel Français in Freiburg (Germany) for the Archifoto 2017 exhibition until November 2. Aranya Redux was recently shortlisted to the 2018 Urbanautica Annual Photo Awards.